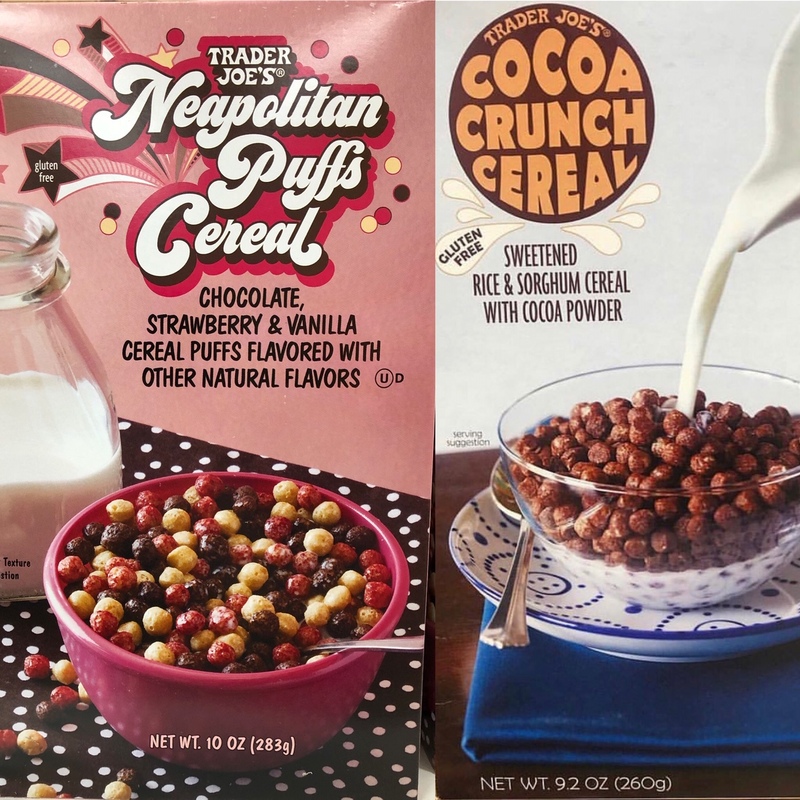 Trader Joe's has introduced two new gluten-free cereals: Neapolitan Puffs and Cocoa Crunch. The Puffs are made with a blend of bean and rice flours, while the Crunch is made with rice and sorghum. 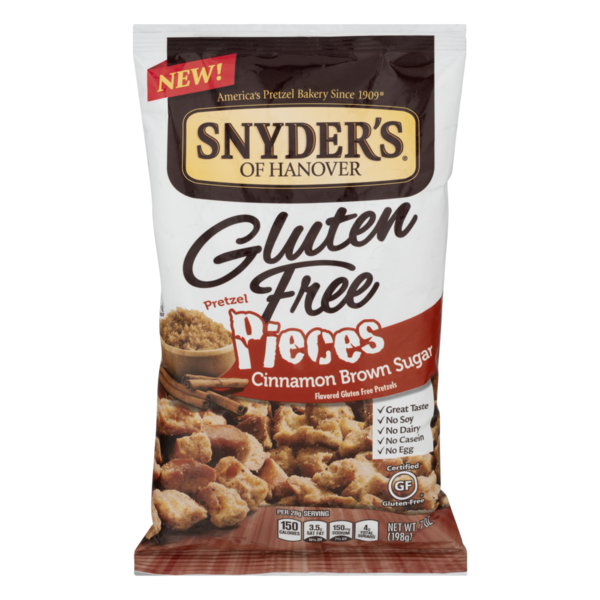 Snyder's of Hanover's newest snack food addition is a cinnamon brown sugar version of their gluten-free pretzel pieces. 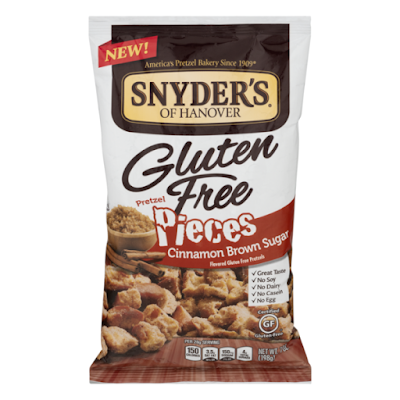 We found these at Wegmans in Cherry Hill - they're in the chip and pretzel aisle - and they are amazing! Not too sweet. Elsie's opens today in Haddon Township (803 White Horse Pike, 856-858-7041), offering gluten-free pickle sandwiches. Guests can build their own breadless sandwiches served on kosher pickles or roll-ups made with cucumbers or pickles instead of wraps. 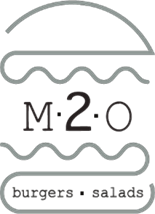 Reader Bethann S. let me know that M2O Burgers & Salads, in the Queen Village section of Philadelphia (701 S. 5th St., 267-930-8388), has gluten-free burger buns and a dedicated fryer. M2O is opening a location at the former home of Elevation Burger in Wynnewood (50 E. Wynnewood Rd.) later this year. Wahlburgers has finally opened its Atlantic City location at the Ocean Resort (500 Boardwalk, 609-783-8868). 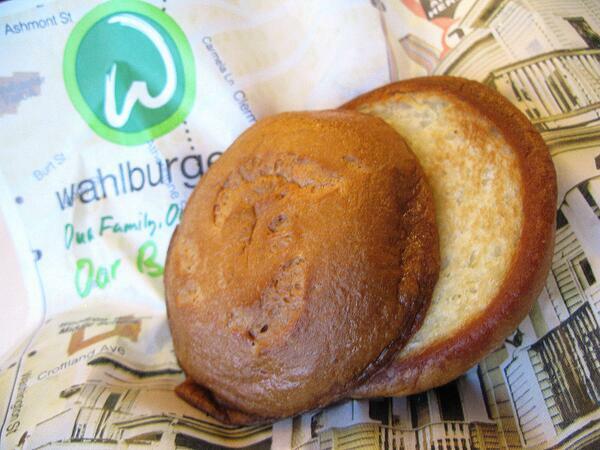 Gluten-free guests will find burger buns, fries and salad croutons. Also in A.C., Hayday Coffee (131 S. Tennessee Ave., 609-350-6475) offers sweets from the all-gluten-free bakery Kizbee's Kitchen. 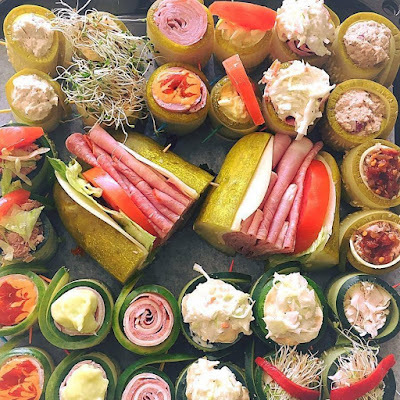 Sadia's Tea & Coffee in Egg Harbor Township (6106 E. Black Horse Pike, 609-277-7455) lists gluten-free options like salads, soups, wraps and sandwiches on its menu. At Tonic Bar & Grille in Wilmington (111 W. 11th St., 302-777-2040), gluten-free options are noted on the lunch and dinner menus, though there is no dedicated fryer. Everyone's favorite stand at the Reading Terminal Market, the entirely gluten-free Fox & Sons Fancy Corn Dogs, is hitting the road - literally. The RTM stand isn't going anywhere, but the owners hope to launch a 100% gluten-free food truck this summer that will serve up many of the same fried deliciousness that's is available in Philly. The Gluten Intolerance Group of Chester County is hosting a meet-up at the all-gluten-free A&M Factory in Malvern (360 Lancaster Ave.) on Saturday, Feb. 23 at 6 p.m. RSVP by calling 484-798-5371 or 610-724-5497. With the polar vortex still fresh on the minds of many in the Philadelphia area, I maintain that the only cure for heating up is soul-warming comfort food. For gluten-free diners, look no further than Sazon (941 Spring Garden St., 215-763-2500), in the city's Northern Liberties neighborhood. 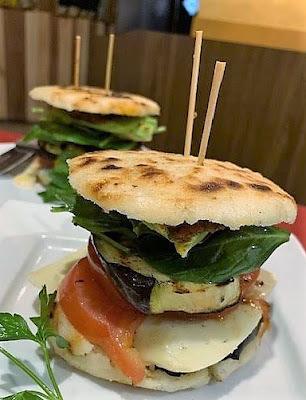 I discovered that Venezuelan food was mostly gluten free when in Las Vegas last year, so I was excited to indulge in homestyle arepas closer to home. Sazon's menu is nearly entirely gluten free, with a dedicated fryer in the kitchen to boot. I recently dined at Sazon with two friends, and together we decided to share several dishes. Our eyes were much bigger than our stomachs - and everything sounded delicious - so we ordered a hearty sampling of dishes. 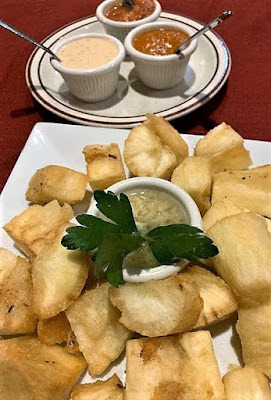 We began with the yuca frita and platanos fritos con queso rallado - fried sweet plantains with shredded queso fresco on top. For our entrees, we split two varieties of arepas, or stuffed corn patties: la guacamaya (grilled eggplant, tomatoes, mozzarella cheese, spinach and avocado with sun dried tomato basil pesto) and the pabellón (shredded beef, black beans, sweet plantains and queso fresco). 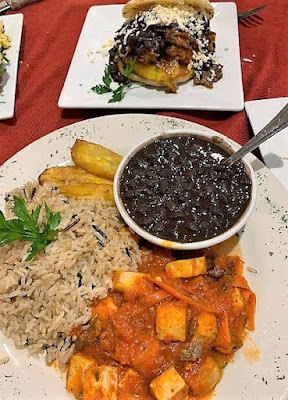 Thinking that we had room for another dish, we chose the pabellón vegetariano (grilled tofu, mixed with portobello mushrooms, seasoned with tomatoes salsa, and served with brown rice and black beans and sweet plantains). Sazon truly is a mom-and-pop shop, with authenticity, coziness and character that enhance the experience. The restaurant clearly is a labor of love of the married owners, Robert and Judith; they manage to create a welcoming and friendly atmosphere that make guests feel as though they're over at a neighbor’s house for dinner. Even though, with the addition of restaurants such as Puyero Venezuelan Flavor, it can no longer claim to be the only Venezuelan restaurant in the city, Sazon holds its own as a neighborhood favorite and a hidden gem. Tucked away from trendier dining locales in Center City, Sazon offers the flexibility of prime-time seating without the city's bustle. The most exciting part of dining at Sazon is the seeming paradox of eating fried, filling, comfort food that is safe for those with Celiac Disease and won't have you checking your phone for the number of steps you took that day. During our visit, our only regret was not saving room for the drinking chocolates prepared by the Robert, a.k.a. The Chocolate Alchemist. That alone is enough to prompt a return visit before winter is over.